NEW! 3G Data option. Mount it everywhere and use a 3G GSM dataconnection. 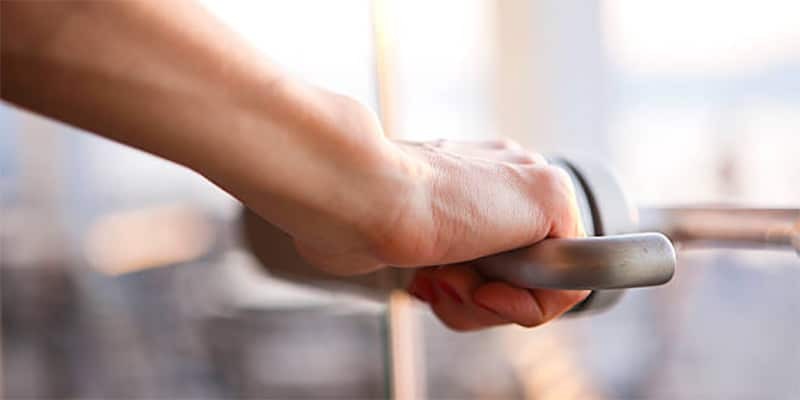 How does the HelloDoor doorbell work? 1. 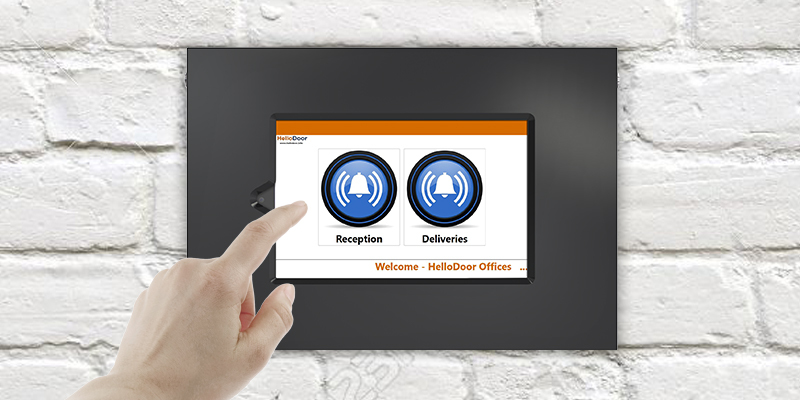 Touching a button on the HelloDoor touchscreen will make a Skype for Business/Teams video-call to the configured SIP-address. 2. 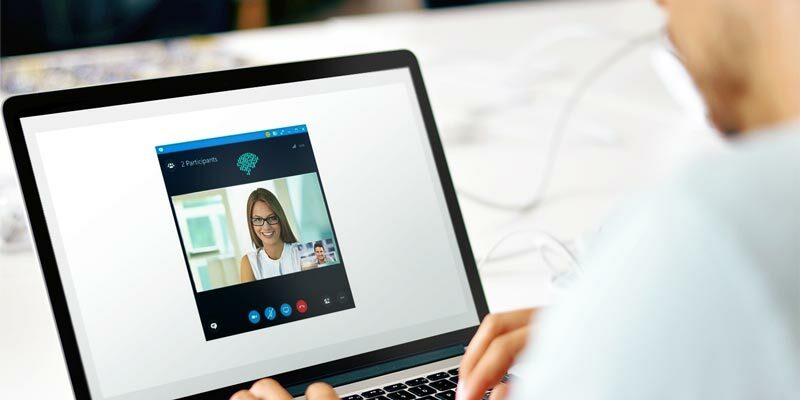 The called Skype for Business/Teams user can speak to the person at the door (voice) and see him/her (video). 3. 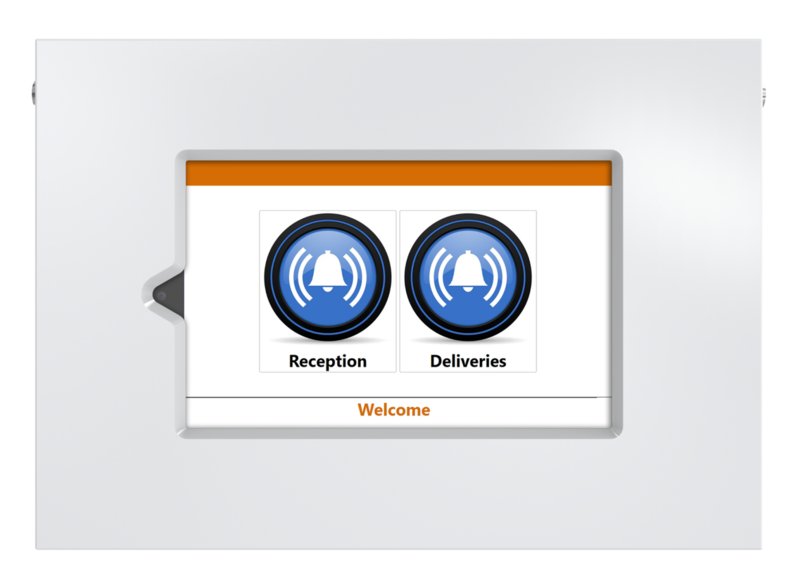 With an Instant Message (chat) command the door can be opened (this needs the optional Dooropener IP Relay hardware).